"Victoria is incredible! She worked tirelessly for my family from listing, showing, open houses to closing. I would highly recommend whether selling or buying. She will LISTEN and go out of her way in every detail." "Victoria is the most professional Real Estate agent I have worked with. 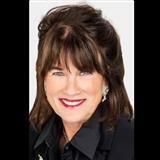 She has the knowledge and experience on all facets of selling and purchasing a home. She works hard and has very good personal skills. Victoria will be our friend forever. Victoria found us our dream home that was not even listed. She also helped us sell our house and stuck thru the many problems the buyer and finance company had." "Victoria was a great help in buying our first house! I would highly recommend her to anyone. She was able to get the house we wanted at a great deal! Without her we would not have found our first home! She showed us many homes until she had an idea of what we wanted and brought us to that house!" "Victoria was wonderful to work with! She made the process of buying our first home such an enjoyable experience! She knew our needs and worked diligently to get us in the perfect home within 30 days. We would highly recommend using her and will absolutely use her again in the future!" "Victoria is one hard working straight forward kind of agent. She will do you and your family right. I currently have investment property listed with Victoria and would be inclined to use her services in the future. I now know why several friends sent me her way and I'm glad they did." "We ABSOLUTELY love her! Not only is she very professional she is very personal wroth her clients. She always makes you smile! She goes above and beyond and the extra mile! She's very prompt, anytime I have a question or concern she make sure that she gets the answer for me in a timely manner!" "Top notch service-oriented real estate agent with the most experience in this region. I met her through the purchase of my house in Cabot, connected me with a top notch realtor in Vegas when we moved there and will be my realtor when I decide to sell the house in Cabot (currently a rental). She goes above and beyond, is friendly and knowledgeable. You'd be crazy to consider anyone else over her for your real estate needs." Are you thinking of buying a home in the Cabot, AR area? Finding the right home can be a difficult process but no matter what you are looking for as an experienced Cabot, AR real estate agent I can provide you with the resources you need to make the home buying process simpler, from specific Cabot, AR neighborhood information, to tools to estimate your mortgage payments, and buyer resources and articles that will help you through the home buying process. Thinking about selling real estate in the Cabot, AR area? No matter which market you're in, you can use the marketing programs and experience of a qualified Cabot, AR real estate agent like me to help sell your home quickly and at the right price. Learn more about my service, see information about recent home sales in Cabot, AR, or contact me to get started today! Are you interested in more Cabot, AR area details? Please take a minute and browse my local neighborhood and school details, real estate mortgage information and interactive maps for the Cabot, AR market. Thank you for visiting www.victoriasellscabot.com! This is a one-stop real estate website for all your home buying and selling needs in Cabot, AR. I’m a professional real estate agent who will help make your search for a new home an enjoyable experience. Please feel free to contact me directly if you have any questions about the Cabot, AR real estate market, or buying or selling a home in Cabot, AR. This is a one-stop real estate website for all your home buying and selling needs in Cabot, AR, AR.